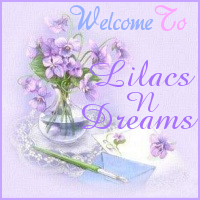 Welcome to LilacsNDreams today, and during the weekend everyone! I generally don't post through out the weekend as everyone is busy with their own thing, doing things that have waited to do all week, and etc. But, tomorrow is Veterans Day which is a significant time for our country, for our freedoms, and observing those who have served and are serving too. I found a few things to share with you from a National Geographic site on the internet talking about Veterans Day. With events across the country, people in the United States gathered today to honor the millions of men and women who have served or are serving in the nation's armed forces. 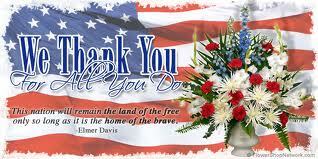 Veterans Day was originally called Armistice Day, and the date was chosen for its symbolic significance. "November 11 was intended to observe the 11th hour of the 11th day of the 11th month, which marked the armistice of World War I,"
Something as simple as finding one veteran and saying thank you, it doesn't just light up their life, but it's amazing how good you feel when you see their reaction. By many it is believed that Veterans Day is "a day to teach young people about the sacrifices made by their fathers and grandfathers, uncles and neighbors, and mothers and grandmothers." 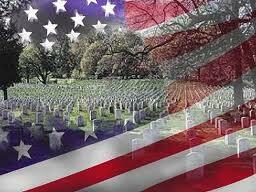 This is a time for all of to remember, and to be thankful for today. This was found at a National Geographic News site upon internet research with Veterans Day. 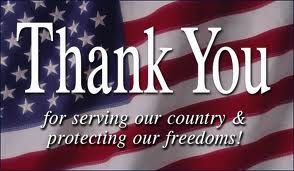 I hope everyone is enjoying this weekend, and on Sunday that you take a moment to remember our veterans for what they have done, remembering those who are still serving our country for Us, and don't forget to say Hi to a veteran if you see one too. 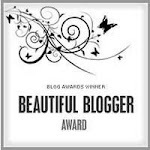 Thanks for sharing your time at LilacsNDreams. 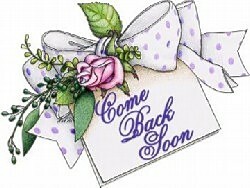 See you all again soon. 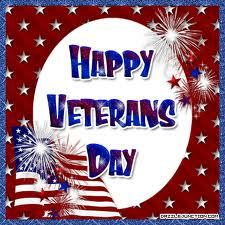 Have a wonderful weekend, and Happy Veterans Day!